You might think that going for a jog on the motorway is just shy of a suicide mission. 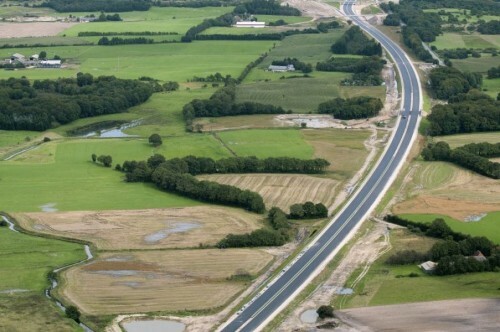 But just before the cars are unleashed onto a brand new stretch of motorway from Kliplev to Sønderborg you and everybody else gets a chance to see the new road by their own propulsion. DGI (Danish Sports Association) and 7 local sports organisations are organising a running race. There will be some for everyone with distances of 5km, 10km, half marathon and full marathon planned. Back in 1998 when I was younger and fitter I ran a half marathon across the new bridge across Storebælt with around 35,000 other people. That’s something that I’m not going to do again, but I might try one of the short distances. Two years later in 2000 when the bridge across Øresund to Sweden opened some 80,000 people took part in that race. The race will be held on Saturday March 24th 2012 and the organisers for the motorway race are expecting around 10,000 participants. If you want to take part in this unique event keep an eye on the official website (motorvejsløbet.dk). You can sign up from tomorrow December 17th. There is a limit for the different distances and numbers are assigned on a first come first serve basis. UPDATE #1: Sunday the 25th, the day after the runners have had their go cyclists and walkers will get a chance to try out the brand new tarmac. Prices are not up but according to the local paper between 10am-12 on Sunday the more serious cyclists can cycle the 48km back and forth, from 12 to 2pm families and seniors can cycle and between 11am and 2pm you can go for a walk. UPDATE #2: Will you be taking part? 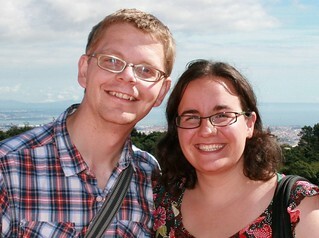 We have both signed up for the 5km race under the team name HejSonderborg.dk. Do join us – we need all the motivation we can get! UPDATE #3 (29/12/2011): The 5km route have sold out. Still tickets left for 10km, half and full marathon. UPDATE #4: DGI has created a Facebook event for the race. That way you can easily see if friends of yours are joining. Photograph by Kliplev Motorway Group. This entry was posted in Outdoors and tagged motorway, outdoors, race, run, sport by Michael. Bookmark the permalink.